Kimono dreamers offer a cultural activities that you can take a photo like a Japanese princes. 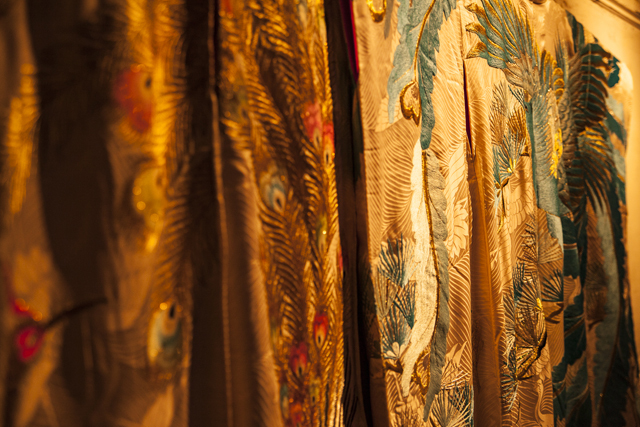 You may select one of these uchikake kimonos, special wigs and props. 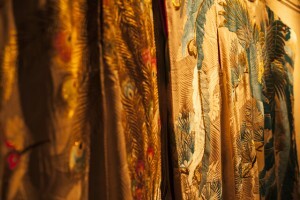 The uchikake kimono is normally used traditional wedding in Japan. Professional kimono dresser will help you dressing up and photo shooting with your smartphone and camera. To enjoy more, we have several props like dancing fans, umbrellas and sakura branches. You will be transformed into a Japanese princess in 3 minutes. We provided this services for many international parties. How about trying cultural activities into your party! 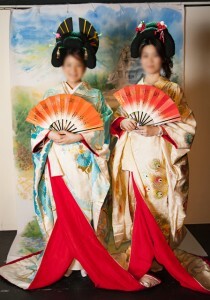 We offer visit service of this kimono experience for events, companies and groups. If you are interested in this service, please do not hesitate to contact us through this mail form. 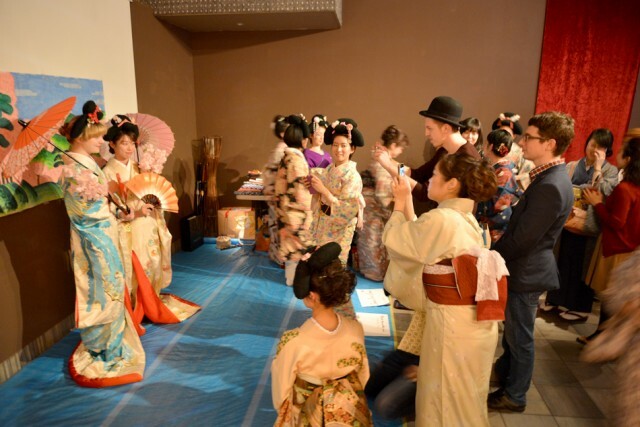 It includes professional kimono dressers, 2 uchikake kimonos, 2 special wigs, 2 fans for Japanese dance, 2 traditional umbrellas and sakura branches. The time schedule and staff are adjustable, we will consider with your budget.